AFTER EXPERIENCING difficulties due to the lingering political unrest, two major event organisers say their corporate clients can no longer wait for the situation to improve. Their shows must go on to boost their sales in the remaining months. “I believe that many corporates and product owners will resume spending on marketing activities and events from this month to increase sales after their businesses have suffered from the political impact for more than three months,” Sermkhun Kunawong, chief executive officer at event organiser CMO, said yesterday. Sermkhun, who is also chairman of the Event Management Association, said marketing expenditure by government agencies had been suspended since the House of Representatives was dissolved late last year. Until a new election can be held and a permanent government installed, the authorities are obliged to be cautious with any new investment that could favour any political party. He said that during the first quarter, the real-estate sector was among top corporates that suspended their budgets for marketing activities and events. The number of corporate anniversary events also saw a drop due to the economic and political sentiment. The automotive sector and consumer products, on the other hand, continued event marketing. For example, the 35th Bangkok Motor Show received good feedback in terms of sales volume and number of visitors. The event was held from March 26 to April 6. Kriangkrai Kanjanapokin, co-chief executive officer of another event organiser, Index Creative Village, said sectors such as fast-moving consumer goods (FMCG), food and beverage businesses and automotive were kicking off product campaigns, promotions and marketing activities to boost sales. “Compared with the same period last year, total corporate spending in the first quarter for events suffered a 10-per-cent drop. But I strongly believe that the event business in the second half will improve,” he said. 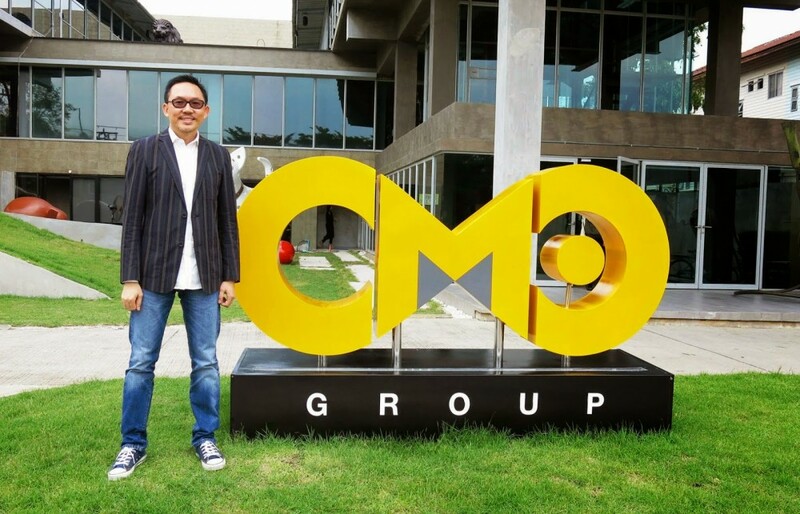 CMO yesterday officially opened a new office complex called “Bangkok Creative Playground” on a 12.5-rai (2-hectare) site that will also house the offices of its subsidiaries PM Center and The Eyes. This new Bt500-million office will welcome both local and international clients. The company aims for Bt1.2 billion in revenue this year.